2018 Annual Meeting and Pig Roast. Clough Pond is located 7 miles north of Interstate 393 on state route 106 and then about a mile down Clough Pond Road. Its shoreline abuts properties in the towns of Loudon and Canterbury. It is a small spring-fed pond of about 45 acres which the New Hampshire Fish & Game Department stocks with trout. It is surrounded by both seasonal and year-round homes. 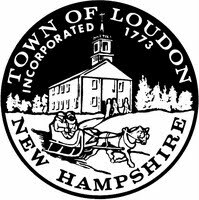 There is a Fish & Game owned public-access boat ramp and a beach that is open to residents of Loudon. Clough Pond is a wonderful place to enjoy swimming, fishing, boating, kayaking or simply relaxing. - Just a short list of events concerning Clough Pond that we think may be of interest to individuals.